OK, let’s play a game. Based on the photo below, can you guess what I’m making? If you guessed bruschetta, good work! You win…the knowledge and satisfaction that you know what those four simple ingredients can make! 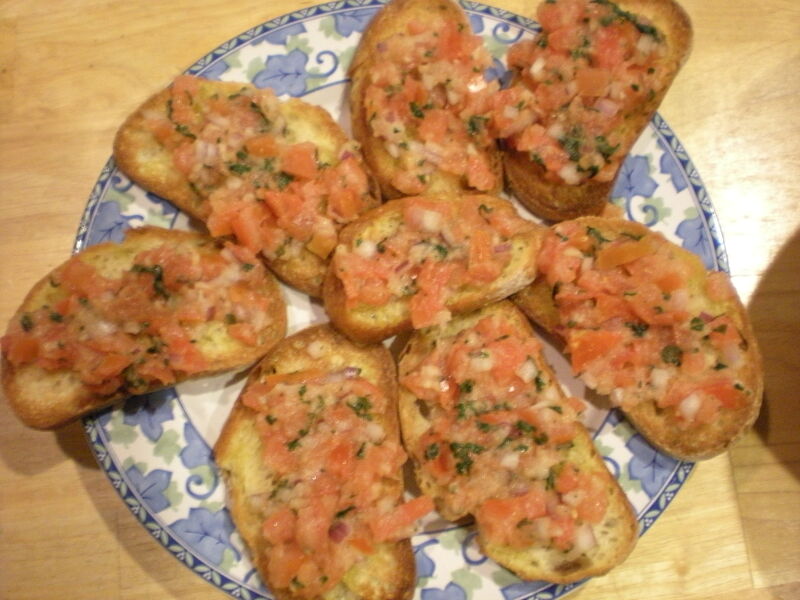 Sunday night was bruschetta night in my house, since it was simple, quick, tasty and nutritious. 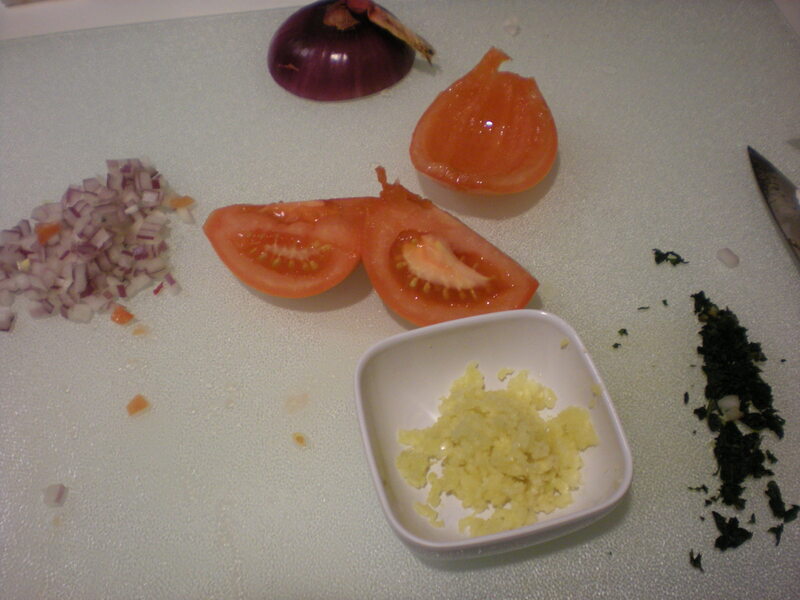 The longest part of this recipe is all the prep–chopping onion, garlic, basil and tomatoes. (Hint: a garlic press really helps cut down on time. Seriously, I’ll never stop espousing the virtues of the garlic press.) Anyway, once all the prep work’s done, it really takes only a minute or two to put everything together. 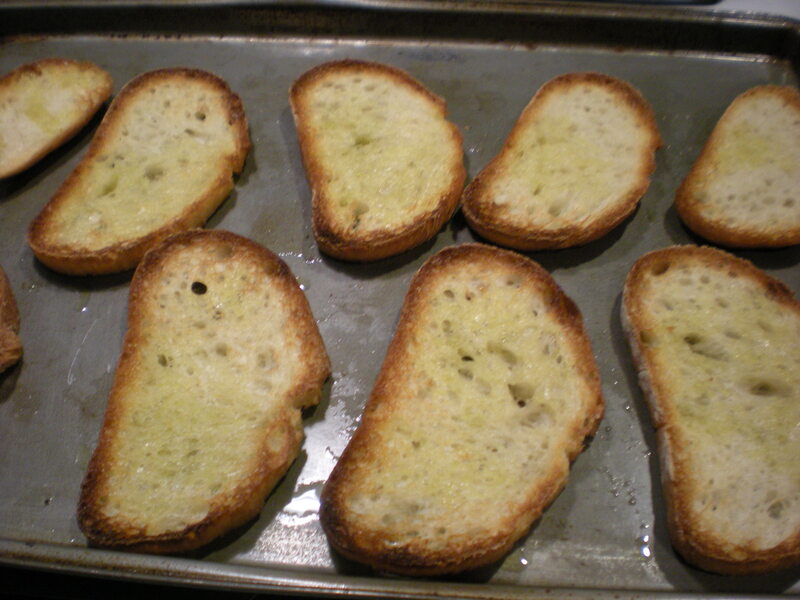 If you choose to serve the bruschetta as a traditional appetizer with crostinis, then you need some nice toasty bread. We bought some pre-sliced saloio bread from the supermarket (this was about speed and convenience–and of course, flavor), which has a nice crusty, Italian bread flavor mixed with a sourdough. Any crusty white bread, thinly sliced, will do. 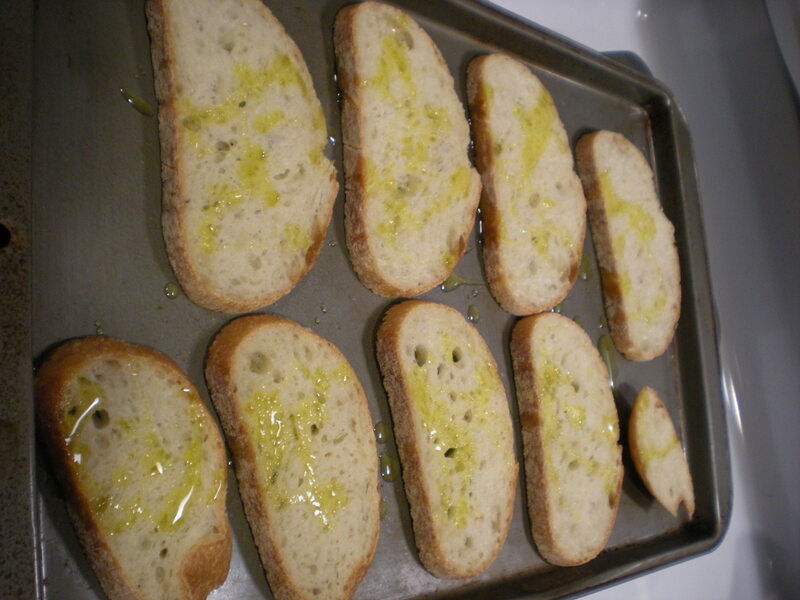 To make the crostinis, arrange a single layer of bread slices on a baking sheet, drizzle with olive oil. Place under the broiler for one to two minutes on each side or just until golden brown and crispy. Pile the bruschetta on the hot, crispy crostini and enjoy! Drizzle with a little more olive oil, if desired. Thanks for the link back. 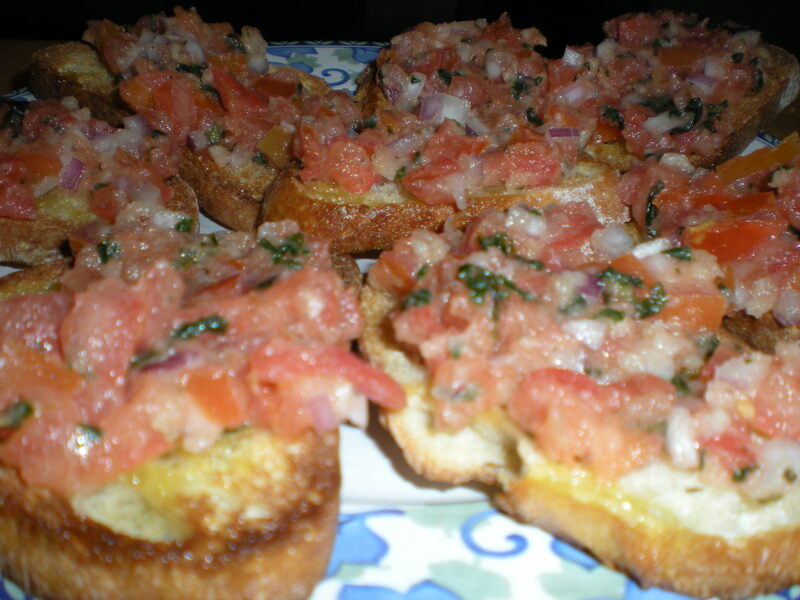 Love Bruschetta: it seems so virtuous, but it tasted good! Me too. It’s so delicious and indulgent, but really so good for you! Thanks for the follow!